Finding the appropriate credit solutions for your challenged credit situation can be confusing, tricky, and can affect your debt and credit differently. It is extremely imperative that before you commit yourself to a specific direction, to regroup your credit. You should be aware of all the benefits, consequences and risks (immediate and in the future) that are involved with the choice that you make. This article will provide you insight to the consequences benefits and risks of each choice. Depending on your credit situation there may not always be a clear and concise answer for your intended results (the good news is usually there is). 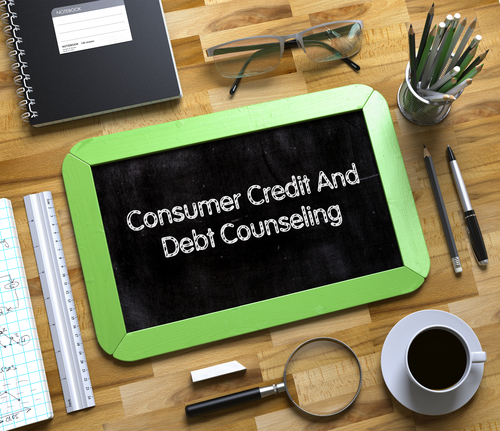 Credit counseling entails educating the consumer about choices that usually will benefit the credit counseling company that is giving this information. Credit counseling companies that advocate that they are non profit can fail to provide you with the real information that their employees usually receive salaries, benefits, and bonuses included in their pay check. These credit counseling non-profits may also fail to disclose, (they are under no legal obligation to disclose) that their “Non-Profit Status” is merely a technicality that at the end of the fiscal year the company must have not made a profit. If there is a surplus of funds they are usually given out as bonuses to staff or other corporate expenditures such as vehicles, advertising, office equipment, etc. Credit counseling companies have been known in the past to appear on credit reports which can easily inform your future banks that you need assistance in paying your bills and you can probably be viewed as high risk and unable to qualify. The good news about credit counseling is you are able to receive credit information that is usually helpful; they can assist you in budgeting and financial planning. In many cases they can contact your creditors, restructure your agreements and many times lower your interest rates. These companies can take advantage of your delinquent accounts and also can turn your current good accounts into delinquent accounts. Let me give you an example; lets say one of your creditors is your car payment and your car payment is actually current and never late. Frequently, your company will hold off for 30–90 days in paying your car payment, so that they can contact your car payment company and threaten that you may either go bankrupt or be unwilling to pay and get your interest rate lowered and possibly a reduction in the total amount due. Very commonly these savings are not passed on to you as the consumer; the money is placed into the pocket of the owners of the Debt Consolidation Companies. By utilizing these companies your credit may actually become worse during this process. The good news with utilizing a Debt/Credit Consolidation Co. is that your overall payments get reduced and there is a reduction in the total amount of monies you will actually pay out of your pocket. You can utilize this extra money for other investments or for anything else you may choose. Debt negotiation has a wonderful conceptual theory. These companies take your overall reflective debt that is on your credit report, work out a payment plan (a reduction in the total amount due), and they pass the majority of the savings on to you. For example: If you owe $1,000.00 on a credit card that has been delinquent or about to become delinquent the creditor may work out a debt negotiation of $0.40 on the dollar, or $400.00, which would be due to the creditor. These debt settlement companies are the middle people between you and the creditor and they will usually charge you on an average $0.20 on the dollar so your payback is 60%, which equates to $600.00 out of a $1,000.00 debt. initially to the Credit/Debt Negotiation Company and a small portion is set aside to the creditor. You will still owe a high balance to the original creditor. Problem number two, your credit report will be completely destroyed. Even if you complete the process with debt negotiation, the painful reality is that all your future banks that you apply for a loan with can easily see that although you paid off your debt, you did not pay the full amount, nor did you pay on time. *Some extra great news—There is only one debt negotiation company that I am aware of that performs the services that can structure debt settlement payments with a legal stipulation to remove the entire credit account or the negative reporting credit history off your credit report. The payoff to the creditors should be paid off early and a legal stipulation can be attached that will insure that your account won’t report as “settled for less then full balance”, which creditors will read as to the fact that you did not pay the full amount and that you did not pay your bills on time. This company is Credit CRB (the original author of this article). Please note that not every single creditor will accept the stipulation, but most of the time they do. Credit Repair has a notorious black cloud reputation in the credit industry. This bad reputation is thoroughly well deserved. 98% of the credit repair companies take consumers money, usually promise the world, and do little, if any, work to improve your credit. Credit repair companies that do any work usually just send letters to the three credit reporting bureaus, cross their fingers, say a prayer, and hope for the best. This is a procedure that you can do yourself, and you should not pay any substantial amount of money to have this done for you. Furthermore, most credit repair companies do not have any tags of credibility, and many times are not even educated on the consumer credit laws. Send cease and desist letters (which can legally prevent third party collectors from appearing on your credit report). Perform debt negotiation with legal stipulations and legal consideration to remove the entire negative account off your credit report. Assist clients who lack credit so that they can obtain credit cards and within a 12 month period. Improve their capabilities in obtaining $20,000, $30,000, and $50,000 credit limits on credit cards and higher. Have tracking on correspondence to the credit bureaus, creditors, collectors, legal departments, and corporate board of directors, state’s Attorney General, and so much more. Negotiation is just really the art of persuasion. There are many tactics that creditors and debtors use to manipulate, entice, threaten, and even befriend, to achieve a desired outcome. Two key character traits required for successful negotiation are patience and courage. If you are intimidated or frightened, you will lose all leverage in the hopes of obtaining a desired outcome. For the best desired outcome you must have a little bit of persistence to keep pushing deadlines or dollar amounts and to also obtain your preferred results. give in to either one party or the other. It is crucial that you are savvy to this technique before it is attempted or utilized upon you. Courage—depending on your personal or emotional stake in a situation. Risk—what you can even afford to consent or agree to is usually required to reach the level (if it is more on the extreme side) that you are going to need to leverage your points and patience to break them down. There are rare occasions when people don’t have a choice in what they can accept as an agreement that they can honor. Just remember that NO deal is way better than a bad deal. always your best friend.” Due to the fact that most creditors will not spend the money to pursue you in a court of law the basic principle is that the longer you drag it out, and politely show them that you’re not intimidated, the more likely they will be to realize that they can’t bully you into a stupid negotiation. They will realize because of your intelligence to get something from you is better than getting nothing. When negotiating a debt you will usually, but not always, be able to negotiate a lower payoff amount. The creditor may not be in the mood to trust your word and extend you more credit if you know what I mean. For example: If you can pay the debt in one lump sum, as opposed to requesting additional numerous payments or even postponing the first of many future payments (because you don’t have any money) your game plan and success will be different. Another helpful hint: You can also negotiate for the negative portion of your credit history to be removed off your personal or business credit report. Two genius related ways to stop the annoying collector calls: YOU can hire an attorney (or if you have a friend who is an attorney) for a small fee. Just have the attorney send a letter of representation stating that all contact should be forwarded to him/her. The creditor must now contact your attorney instead. NOW, a few things will happen in a very short time. Number one, you will anger the living “fudge” out of the creditor. That’s o.k. because they are probably just going to forward your debt to a third party collector who will then send you a notice, which in that case you will give the collector a very special gift of a “Cease and Desist letter”. Yes, you can legally prevent a third party collector from appearing on your credit report—not the original creditor, but a third party collector. Send the Cease and Desist letter that is date documented and certified registered mail to the third party collector. The second thing that can happen is that your attorney gets bombarded with demand letters that he is under obligation to respond too. It can either be bad news for you where you continue to pay this attorney or you can dismiss his services and run the small risk of having the creditor change the way their company is addressing this particular account. A few final tips on debt negotiation if at all possible when an agreement is finally reached: Do not have them make the agreement as an amended portion of the original agreement. It is crucial that you have them draft a new agreement making the old agreement null and void. As soon as the old agreement is null and void you can notify the credit bureaus to remove those trade lines and the negative history of payment because they will be reporting you negative on an agreement that is no longer legitimate. It’s true. This goes beyond true genius. I would never suggest that you supply bank records or financials that are phony or misleading. However, it is important to know that if you supply financials to your creditor that show your desolate situation, they will be way more prone to offer you a WAY more tempting settlement. Not only should you never enter into an agreement that you can’t afford to live with, it is my advice that you hire a premium credit restoration company that will do your negotiation on your behalf. This reason is a bit complex, but it is the most genius tidbit of information in the entire chapter. If you try to negotiate your agreement and submit stipulations either with your check or a faxed back agreement, it may not legally enable you to remove the negative portion off your credit report as well as other agreed or waived charges. Depending on your creditor, your original contract may include language that precludes you from modifying your agreement or entering into a new agreement. That would allow for alterations or forgiveness of the debt without a mutual agreement in writing prior to thirty days before settlement. Therefore, any stipulations that you may think you may be inserting into the agreement may very well be inserted, but has no legal value! If you choose to utilize a premium credit restoration company the agreement will come from a third party and will be a separate agreement because the credit restoration had no prior agreement with your creditor and therefore in no way, shape, or form is modifying your old agreement because you, “the debtor”, are not even part of this new agreement. The new agreement pertains to you, but you personally do not directly have involvement. ** CAUTION ** THERE ARE SERIOUS FOOLS OUT THERE WHO THINK I JUST GAVE AWAY SOME SECRET THAT THEY CAN STEAL AND USE. THOSE PEOPLE ARE THE TRUEST OF TRUE DUMB ASSES. I WOULD NEVER DIVULGE OUR TRADE SECRETS THAT INVOLVE UCC LAWS, HOW PAYMENTS MUST BE MADE BUSINESS TO BUSINESS, BUSINESS TO PERSON, PERSON TO BUSINESS, ETC. THE RULES ABOUT CONTRACT LAWS, RESTRICTIVE ENDORSEMENTS, LEGAL STIPS, ETC, AND OTHERS I PURPOSELY LEFT OUT. I DO NOT RECOMMEND THAT YOU TRY THIS WITH ANY OTHER PARTY, EXCEPT A PROVEN ONE, US! FOOLS FOOL THEMSELVES. *IT IS IMPORTANT TO HAVE TRUE LEGAL STANDING TO SETTLE YOUR DEBT AND TO REMOVE DELINQUENCIES. Some mortgage companies and very, very few banks will even subscribe or do business with a credit rescoring or a credit rapid rescoring company. “Credit Rescoring” and “Rapid Credit Rescore” are two different terms, but they both perform the same services. These companies try to finagle themselves as the middle party between credit bureaus and your mortgage company. These companies advertise to the mortgage companies that they can service their clients for a fee and if there is something on the credit report that is absolutely false, they can have it fixed within 72 hours. The mortgage company can then get a new score and qualify the client to close the mortgage. You have documentation that supports your claim that has previously been signed by a corporate representative and on corporate letterhead from the misreporting creditor that substantiates your claim. If the credit rescoring company is not just contracted with that particular credit wholesaler, the rescoring companies may only work within the scope of the credit wholesaler and the new information may not reflect as a permanent change with the big credit bureaus. Credit wholesalers such as Land Safe credit, Advantage credit, CBCS, and Factual Data are companies that issue credit reports from the main bureaus to the mortgage banks. That is why many credit reports look different from each other and some are easier to read than others. MORE BAD NEWS, in the event that a consumer elects to gamble with a rescoring company, and the creditor submits a defying response to the credit bureaus, this consumer can be blackballed from any future credit repair possibilities and they may be stuck with their bad credit permanently! This information was originally shared by Credit CRB. If you would like to see your home loan options based on you individual situation contact Pat Billheimer here.